As the market leader with one of the largest inventories of new, used and refurbished medical equipment we are best placed to assist buyers in sourcing high quality medical equipment at affordable prices. Our sales are an excellent source of medical equipment, we sell over 1700 lots of medical equipment every month to the global medical market, offering the best value for used and refurbished medical equipment. We ask however that all potential buyers read our conditions of sale and the “how our sales work” page on our website, please remember that most items are sold as seen. We have a global buyer customer base, with buyers of medical equipment from Europe, North and South America, Africa, Asia and Australia attending our sales, or bidding online. Medical equipment is built to very high standards and is designed to last many years. Second hand medical equipment can often be purchased at 10-15% of the original purchase price and gives access to high specification equipment for minimal investment. In addition, used medical equipment is often easier to maintain in harsher environments and is less reliant on consumables and expensive manufacturer support; and can be repaired at component level. Where does the medical equipment sold by Hilditch come from? The majority of equipment has been pre-owned by NHS hospitals, private healthcare groups in the UK, major manufacturers and distributors, lease companies and finance houses. We often have equipment available from nursing homes. Buying second hand equipment is considered risky if equipment condition is unknown, but if care is taken and the condition is ascertained, purchases can be safe. 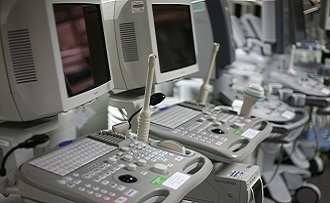 Items in medical equipment auctions are “sold as seen”, any known faults are fully described and basic condition reports can be issued by engineers on request. The Medical Engineering Department at Hilditch can conduct calibration, equipment repairs and servicing if requested, prior to the buyer collecting equipment purchased from our sales. What is in our Medical Sales? We have developed sales in a number of specialist subcategories within the medical sector and have actively developed the market in these areas. We sell the full range of used radiography equipment in specialist online sales. This includes CT and MRI Scanners, mobile X-ray, C-arms, anaesthetic machines, ultrasound scanners, stack systems, endoscopes and dialysis machines. If you require any specific units get in touch as we have many systems scheduled months in advance. 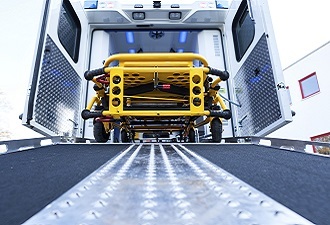 Hilditch hold regular used ambulance and emergency equipment sales which include items such as monitors, stretchers, trolleys, defibrillators, used ambulances, generators, incident equipment and tents and much more. We have an excellent equipment resale offering to the wider emergency services sector, including Fire and Police services. A large number of our used and second hand medical equipment is appropriate for veterinary use including instruments, autoclaves, baby scales, scopes and stack systems, anaesthetic machines, operating tables. Our sales include a variety of used and second hand surgical and operating equipment including instruments, vaporisers, operating lights, operating tables, stainless steel instrument trolleys, incubators, defibrillators, monitoring systems syringe pumps, autoclaves and sterilizers. We sell a range of used laboratory or pathology equipment including analysers, centrifuges, microscopes, cover slippers, incubators and laboratory refrigeration in our laboratory equipment auctions. 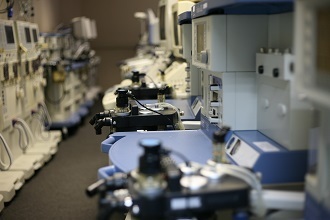 Laboratories, hospitals and research facilities source preowned and ex demo laboratory equipment from our sales. Equipment from our medical sales is used in hospitals, laboratories and clinics. We hold the only regular Nursing Home Equipment online auctions in the UK and have conducted numerous clearances of care homes. We often hold dedicated auctions for nursing, care and retirement home furniture and equipment. Our sales contain all you need to outfit a care home including patient hoists, special care medical beds and baths, patient scales, mobility scooters and wheelchairs and patient seating and electric reclining chairs. Our regular online medical test equipment and electrical test equipment sale contains all you need to outfit a medical engineering department or electricians, other than engineers. Recent sales have featured electrical safety analysers, PAT testers, combi scopes, low resistance ohmmeters and more. Dentists can now buy good quality pre-owned dental equipment from our regular specialist dental auction. Sales feature the full range of equipment including dental x-rays and OPGs, dentists’ chairs, dental drills, dental lights, autoclaves, dental instruments, dental compressors and other dentist’s essentials. As the market leader with one of the largest inventories of used medical equipment we are best placed to assist you to source high quality medical at affordable prices. If you have any queries on sale items, Hilditch can check and advise, although viewing equipment is recommended if possible. All auctioneers and medical engineers at Hilditch have a wealth of experience in medical equipment and are always happy to share this. If you are looking for specific items, the team can advise you when these come up, but if it is general medical equipment, the answer is in every sale! Hilditch Group have our own Medical Engineering division - dedicated to all aspects of repairs and maintenance. A good source of spare parts and leads is vital, please contact us for details of suppliers.